It's been a while since I posted, but I thought these shoes would make a great update for the blog. I've been up to a number things and have been trying to hunt around for the latest trends and style inspiration. 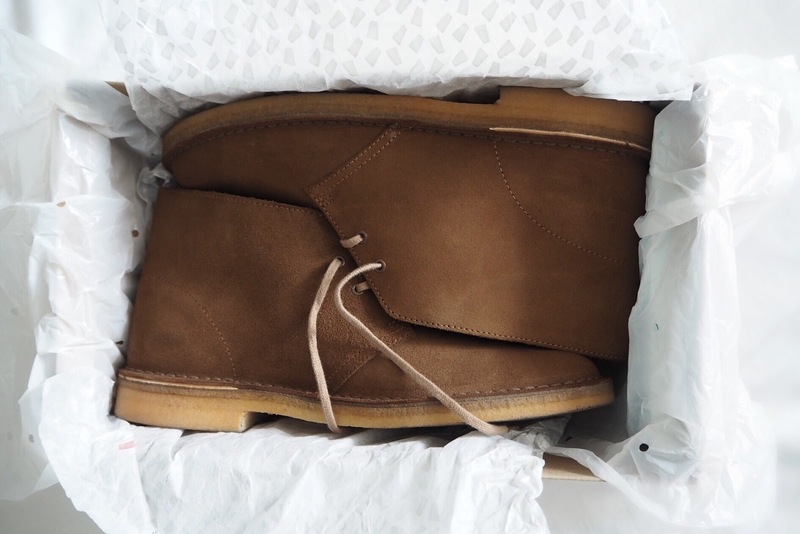 Desert boots have always been something I wanted to give a go, but have always been a bit apprehensive about them suiting my style. 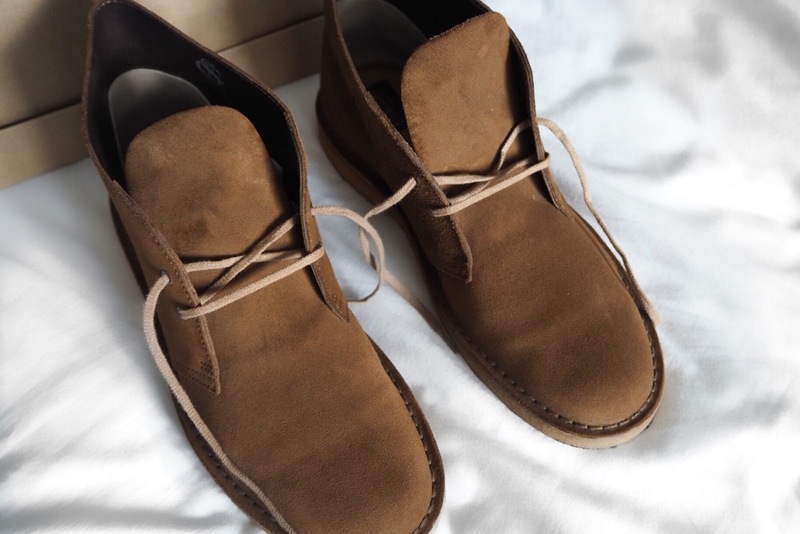 They are a great casual alternative to the chelsea boot and are perfect for this time of year. They were originally launched in 1950 by Nathan Clark and have continued to be a staple for the male wardrobe. It's often said that the first thing people judge you on is your footwear, and this pair of Clarks Originals will stand you in good measure. The classic and versatile style means it'll keep you covered for a number of occasions and allow you to play around with a number of different outfits. The soft suede is super comfy and I was surprised at how light they felt on. I hate clumpy footwear and these boots were easy to throw on and head out for the day without being weighed down. The cushioned insole means you can be on your feet for the whole day without any discomfort - which is something Clarks always does well. The rubber sole adds to the durability and means you can get around without slipping and adds that extra grip. These are definitely going to be a 'go to' item this season and I'll be featuring them in a few outfit posts soon. 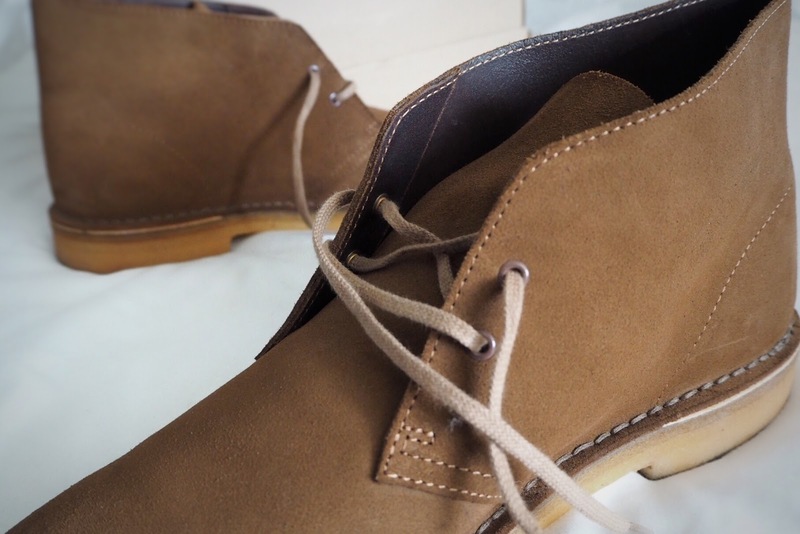 They offer versatility which I something I always thinks important in footwear and are practical at the same time. If tan isn't your thing, check out the other colours available. They offer a wide choice of shades that'll fit into any guys wardrobe. TIP: For the best look, roll the bottom of your jeans, add a plain white tee and throw on a checkered shirt. If the weather's not too great, add a leather or suede jacket for an extra layer. I'm so happy with these and can't recommend them enough. Thanks Coggles for sending me these!